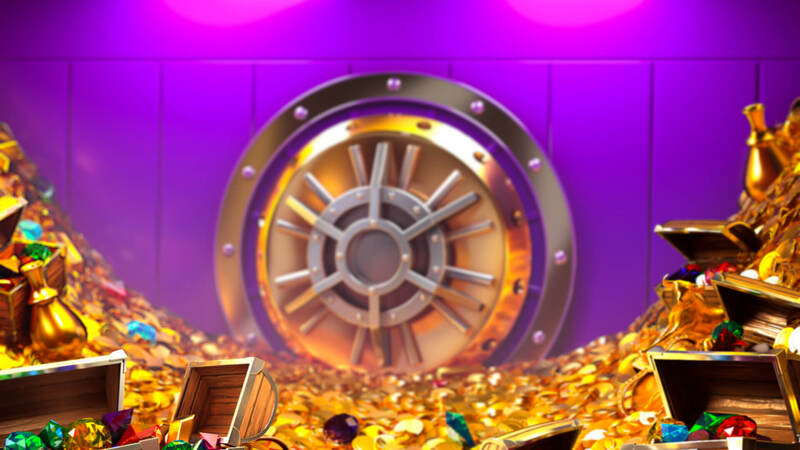 Tempting you to try to crack open the vault containing 4 progressive jackpots, Betsoft introduces Reels of Wealth, from their Slots3 3D Slot series, which is a 5-reel and 10 fixed paylines slot. The slot pays left-to-right, right-to-left and centre out. From a glance inside the vaults, you will see that the background is piled with precious gold trinkets, coins and brilliant gems. Arguably, this is no surprise given the title. The symbols include a treasure chest, sack of gold & jewels, stacks of money and very rare blue, red and green diamonds! These are followed by the standard-paying gold bricks, gold coins and four poker symbols. The audio effects include a jazzy beat that suits the theme 'to a t'. 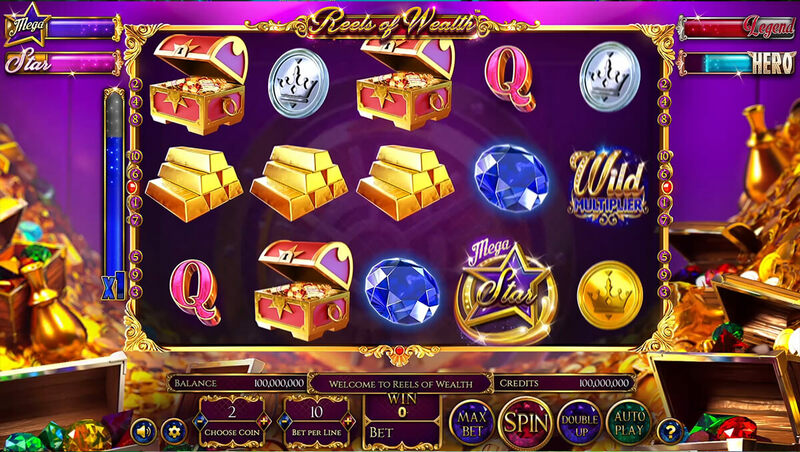 The slot is glitzy filled with additional audio effects and visual effects from the triggering of features and formation of winning paylines. The vault symbol is a scatter that can appear on any space and will reward you with multipliers of your total bet. As little as 1 scatter will credit you with 1x and as much as 2,000x with 15 appearances. The MegaStar Jackpot scatter symbol can appear on any position with 3, 4 or 5 simultaneously providing you with 10, 15 or 25 free spins. 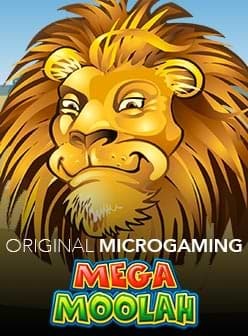 The feature plays out on the MegaStar Jackpot Reels which gives you a chance to win one of four jackpots: MegaStar Jackpot, Legend Jackpot, Star Jackpot, Hero Jackpot. Each of the symbols can appear and are collected in their own meter which is referred to as a trail in the game. Any jackpot symbols that appear are removed causing the reels to cascade downwards to fill the gap(s) created for the opportunity to add to the trail. MegaStar Jackpot, Legend Jackpot, Star Jackpot and Hero Jackpot require you to collected 9, 8, 7 and 7 in the meter respectively in order to win the corresponding jackpot. During the MegaStar Feature a different set of six symbols are used and wins are calculated from left to right paying all-ways. The MegaStar Bonus scatter can award coins in numbers of 4, 10, 30, 100 or 500 with 1, 2, 3, 4 or 5 symbols on any position. On each win, you are awarded a free re-spin. If you manage 3 consecutive re-spins, the 5th to 7th re-spins award a 2x multiplier and 8+ awards 3x multiplier. This slot offers a 2x wild multiplier that can only appear on the 2nd and 4th reels. The wild can replace any symbol to form a winning payline except the scatter and MegaStar symbols. After triggering a standard win, the Double Up Game is an optional way of going double or nothing. You can put all your winnings or 50% on the line to go double or nothing. You decide and to play all you need to do is call heads or tails on the coin toss. Reels of Wealth slot has a theoretical return to player of 95.29% with typical bets ranging from the low end of €0.10 and as much as €100. 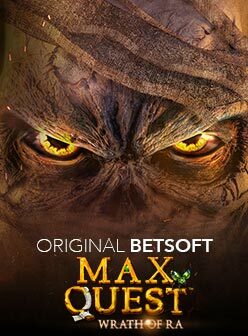 With a release date of April 28th 2018, it is supported on Desktop in HTML5, iOS, Android and Windows Phone. With 4 progressive jackpots, the variance is likely towards the high end offering a chance to win some much higher than average sized prizes. To get started, simply follow our links!